Poll: What Did You Think of Sony's PS4 Event? Sony's new console was kind of, sort of revealed today. Were you impressed? We could stay up all night talking about how amazing the PlayStation 4's tech demos looked, or bemoaning the fact that the company left some pretty important information off the table, but there will be plenty of time for that in the months between now and E3. So as we reflect on the nights events, we look to you, our beloved readers, to see what you thought of the PlayStation 4 announcement. 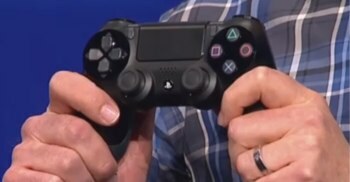 What grade would you give Sony's PS4 reveal? A+: A new console AND a new Killzone title? It's like Christmas! B: The console looks powerful. I smell what Sony is cooking. C: Meh. Big promises usually mean big disappointments. D: I'm not seeing much to get excited about. F: WHERE IS THE CONSOLE? I WANT TO SEE THE CONSOLE!